ICE BLUE wins big at LA Femme Film Festival! Following an exciting World Premiere at the Calgary International Film Festival, ICE BLUE went on to screen at the LA Femme Film Festival in sunny Los Angeles, ultimately winning the Best Feature Director on October 22 for Sandi Somers’ outstanding direction. LA Femme Film Festival is a premiere film festival that celebrates and supports the advancement of content by women producers, writers and directors from around the world. 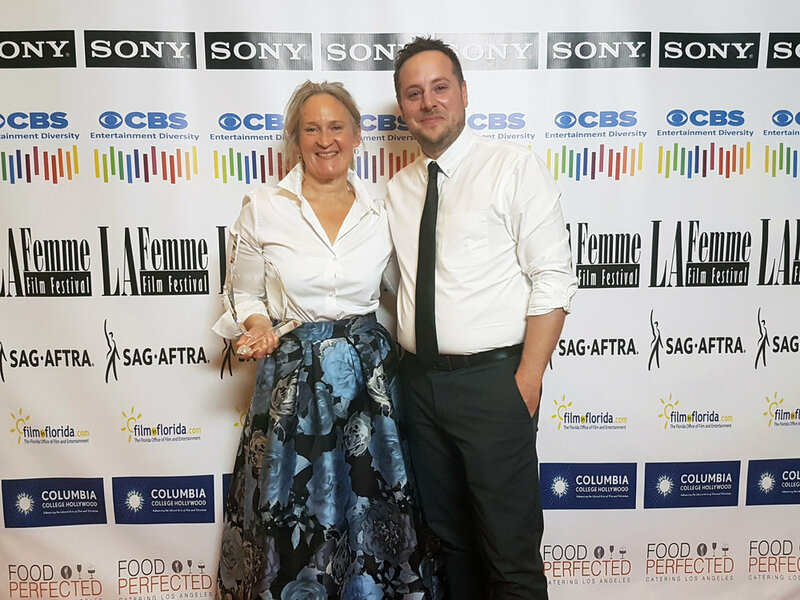 Both ICE BLUE Director Sandi Somers and Executive Producer Scott Lepp were in Los Angeles for the International Premiere of ICE BLUE and were excited that Sandi won Best Feature Director. the Best Feature Director Award at LA Femme. ICE BLUE is looking Rosie!